You are always so full of compliments for my work, Seahorse. Thank you very much. I do appreciate them! 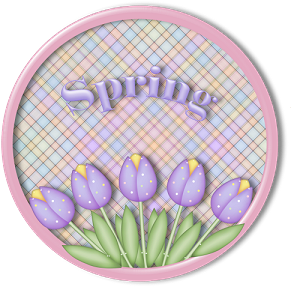 Was kinda waiting for you to let me know what you'd like to be for Spring, but had made this earlier, so I thought I'd post it in case you like it. And I had to do a golfer too! I love them all Brandi!!!!!!!! Thank you so very much!!!!!!!!! Somehow I knew you'd choose Patton playing golf! My favorite too! Brandi, you are so talented and sharing! Actually, I took a Bugs Bunny golfing screen saver and replaced Bugs with Patton. I requested the SM, remember? I like to TY when I use your avatar's, you put so much thought in all your work. 'S' on his shirt stands for sandwiches,steaks and shrimps, as explained in the 5-paged story 'Holey Horrors' by Samm Schwartz. Jughead, would just LOVE the double decker! You know a lot about a lot of things, Seahorse! ...oh, and yes, I do remember making that avatar that you requested. I bought Archie & Veronica comic books, in my youth, (and not even once) do I recall Jelly bean Jones! Thank-you for the wonderful memories, you give us Monkey's. Well Brandi - guess I should get out of my spring clothing. Anything in your magic hat for the forth of July? I'll see what I can come up with for ya! I'll work on some more for you between now and July.